Everywhere you look, the messages are there. 10 days to drop 20 pounds. Gluten is making you fat. 12 minutes a day can get you a bikini-ready body by summer. It sounds exciting, but the real message you’re getting is this: your body doesn’t measure up - in fact, you don’t either - so you better do something about it…and quick! What if the solution isn’t a new diet or another fitness program? In The Elephant in the Gym, award-winning Personal Trainer and Health Coach Gillian Goerzen gives you a healthy and kind way to approach your fitness and well-being. Grounded in science, self-compassion and Goerzen’s personal journey through the ‘body hatred battleground,’ you’ll learn to ditch the diet, reclaim an empowered relationship with your body, and become healthier as a result. No gym membership is required to be fit. Why traditional goal-setting is tripping you up. The one thing you need to set the foundation for success. What you can do to get started today. Practical strategies, tools and tips to help you be fit and healthy – for life! Deeply personal, backed by detailed studies and real-life stories, you’ll design a lifestyle fit for you and no one else (it’s not one size fits all – and it never should be). The Elephant in the Gym takes your eyes off of the scale and puts the power of creating a healthy life in your hands. Start reading The Elephant in the Gym on your Kindle in under a minute. 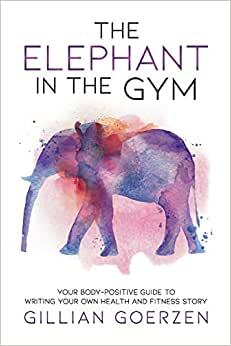 "Packed with research and sound advice, The Elephant in the Gym is the whistler-blower the fitness industry needs." If you're looking for the REAL deal - real and actually doable guidance for a real healthy life from a real expert and genuinely really nice person - this is the book! Gillian radiates joy and an unending passion for supporting everyone in feeling great about themselves right now. She clearly understands that this is the key first step in making all of your healthy goals a reality. If you want to feel better, spend some time with Gillian. And, in the meantime, enjoy her inspiring book! It is a pleasure to call her a dear colleague and friend! "Goerzen provides a realistic and compassionate set of strategies for anyone looking to take better care of their body in a shame-free way." I received an advanced review copy for a podcast interview with Gillian Goerzen. I really love this book! Gillian hits on many of the minefields that keep us from getting healthy and fit. Her body-positive approach is refreshing. If you're struggling or going through the yo-yo, get this book and address your own elephant. I'm passionate about body positivity and health, and this is a fitness book I can wholeheartedly recommend. Most of us have been hurt by a lack of acceptance around our bodies, and this gorgeous book helps you heal and step away from the myths. I particularly loved her point about health and fitness being distinctly different things - but we fall into a trap thinking that the outward appearance of fitness (what you look like, what you can measure) is more valid than the inner signals (what fits you, what you enjoy, what you desire). The nuggets in the book go far beyond health and can be applied anywhere in your life. Inspiring read!